Want some real protection for that iPhone? Look no further then the handcrafted EXOvault, an all-metal sheath that can be ordered in aluminum, brass or titanium. The design is robust, simple and elegant. I received an Exo6 case $105 for my iPhone 4, after about a minute of screwing in the four bolts my iPhone looked like it fell out of the 80’s, in a good way, and was so solid and well protected that many of my all glass phone worries faded away. The case is crafted very nicely and fits the phone perfectly. The phone doesn’t shift inside the case so there are no worries about scratching. The EXO6 has open sides which help with reception and the case actually allows you to quite easily keep your fingers from touching the antenna at all. Overall, I have no complaints with the case. It adds a small amount of bulk but it’s not much considering the amount of protection the case offers. When paired with a simple screen protector you have an awesome all around phone protection package, a bonus is that the Exovault case keeps the edges of a screen protector from getting caught and peeling. 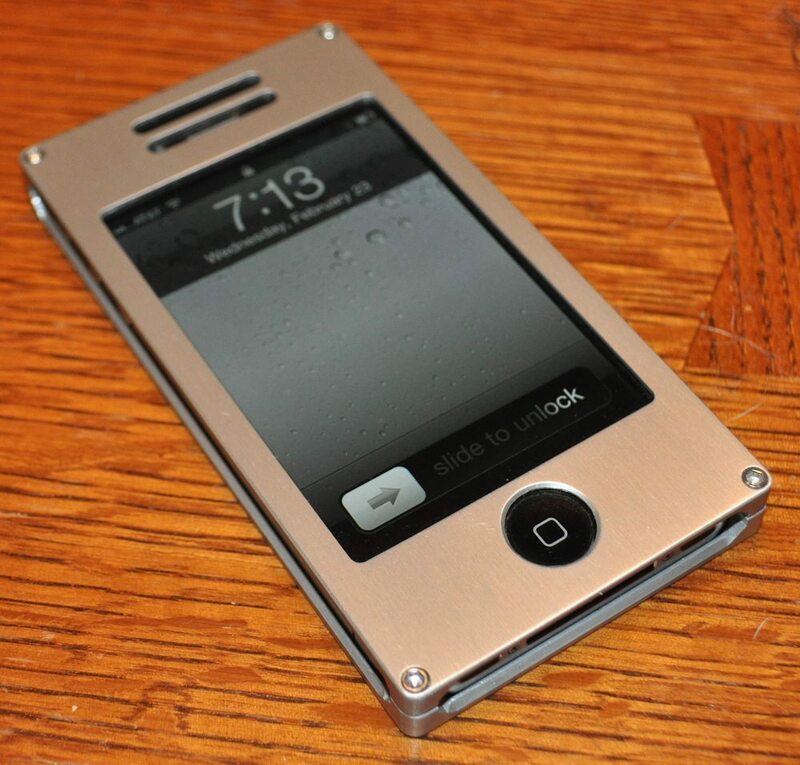 We’ve got one Exovault Exo6 case for an iPhone 4 to give away. Go become a fan of our Facebook page and next Friday we’ll randomly pick a winner!